Designed to reflect the passion of the fans and nation the shirt incorporates a striking interpretation of the Sol de Mayo inspired by Carlos Paez Vilaro’s illustration of the iconic symbol. This powerful image brings great pride to the nation and is the perfect motivation for players and fans alike to come together and rise above the opposition on the world’s biggest stage. 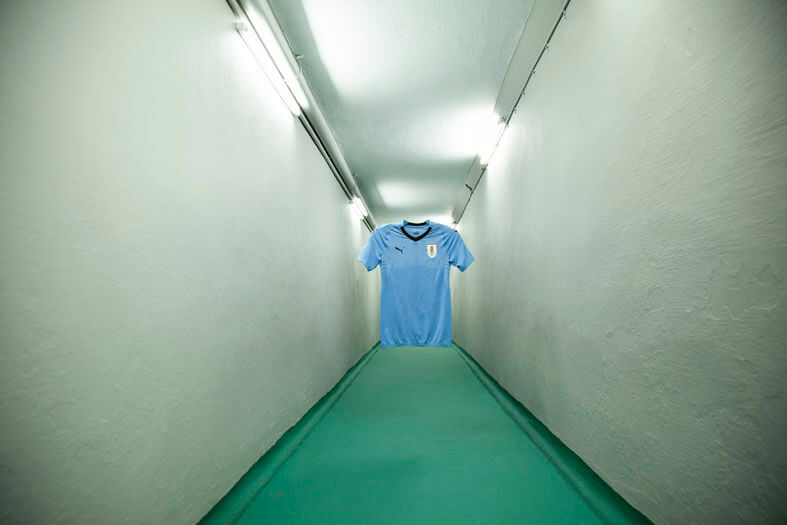 The unforgettable ‘Celeste’ blue rekindles memories of the first time you pulled on the jersey and watched your home heroes on TV, that first time you felt real joy, your First Passion. Subtler details are incorporated into the shirt to further enforce the feeling of passion and pride. 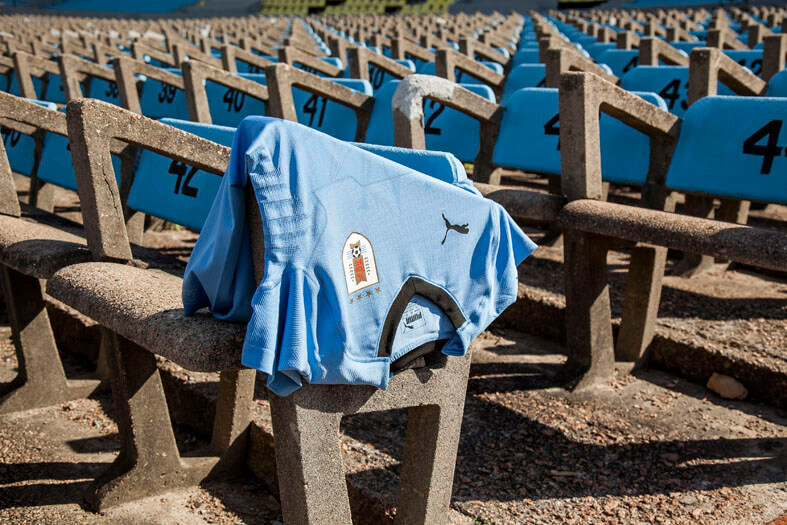 These include a subtle nod to the National Pavilion underneath the back of the collar, whilst inside the sleeve is the inscription ‘La Celeste’ and the hashtag #ELEQUIPOQUENOSUNE can be found on the underside of the bottom of the shirt. Getting into the details you will notice engineered cooling fins in key zones on the shirt that act as channels regulating your bodies temperature, whilst dryCELL technology provides moisture management across the fabric with high-performance yarns that wick sweat away from the body. All this is packaged into the seamless evoKNIT construction of the shirt that provides a lightweight ‘second skin’ feel so the fabric moves with the players body and not against it, allowing for better freedom of movement on the pitch.